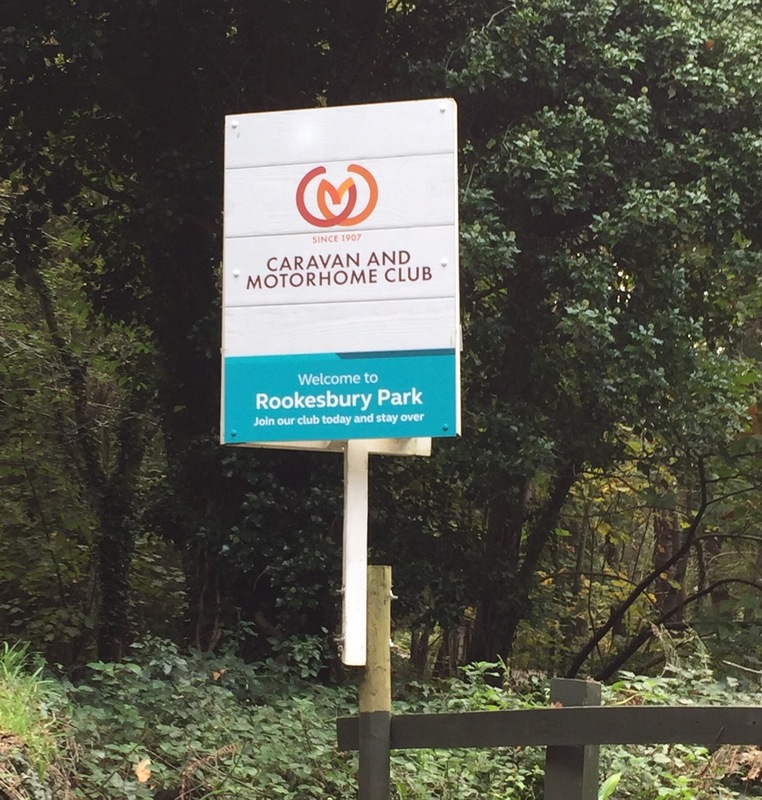 Open from mid March until the end of October, Rookesbury Park Club Site is on the edge of the village of Wickham with Fareham close by, ideal for discovering Portsmouth and Southampton. The village of Wickham is a drive away. Wickham is a small quaint village with a small grocery store and a couple of pubs. There is no public transport from near to the site. Reception has a small shop selling basic groceries and caravan items. An information office is located next to reception and is full of leaflets of attractions and things to do in the area. With the site being at the end of a long lane with only a few passing places they have an advisory 12 noon departure time at the latest with arrivals invited onto site after noon. Rookesbury has 142 spacious pitches with around one third being grass pitches, alongside 12 tent pitches. 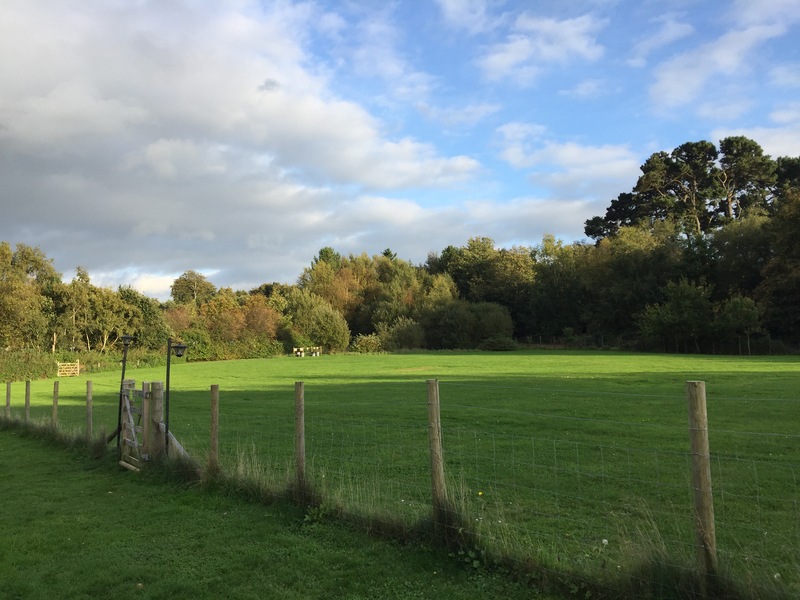 Set in well planted parkland and running to the side of the Forest of Bere, this site is perfect for dog owners and children. 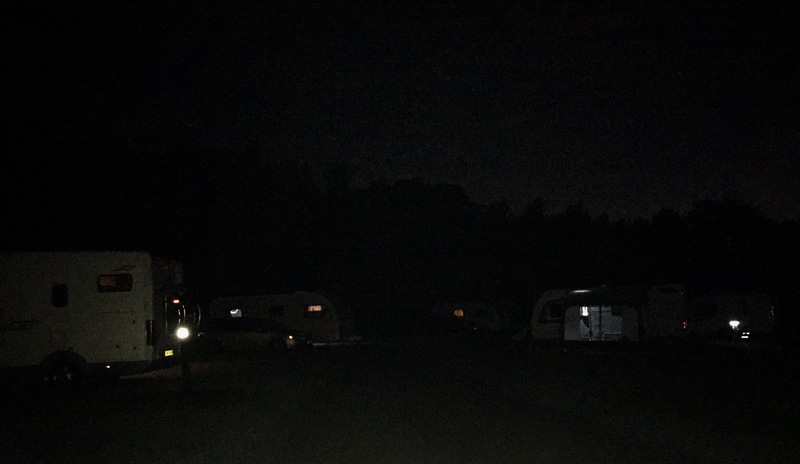 This site is also an ideal stop over ferry site, with ferry pitches at the entrance of the site allowing early and late arrivals without disturbing the rest of the site. A very well manicured site, seemingly without over intrusion from wardens leaf blowing and mowing. 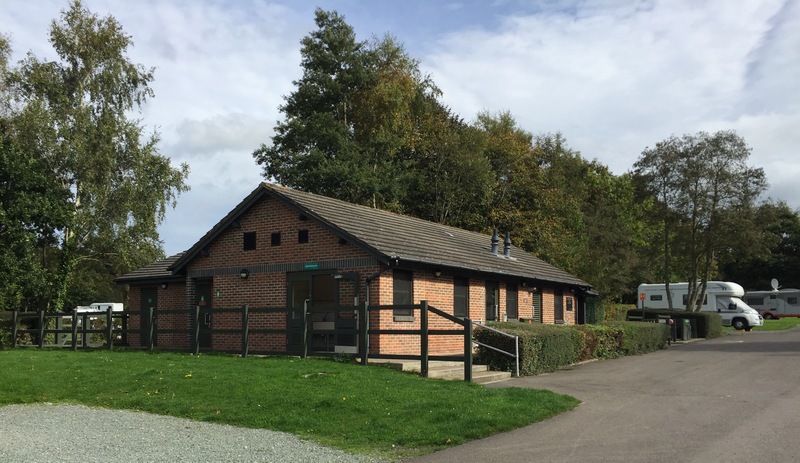 The site is served by two clean and warm toilet blocks both with a dishwashing area and laundry facilities. There is also a child and toddler washroom available upon request. The site is ideally placed for dogs and walkers with walks in every direction from the site. There is also on site a gated dog walking area complete with dog waste bin. 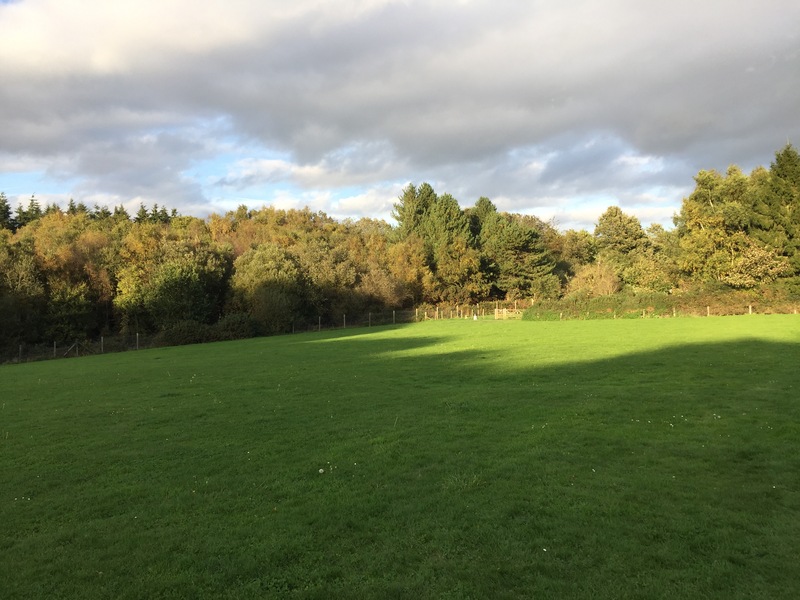 This field must be in excess of an acre in size and perfect for letting your dog off the lead to have a sniff around, play ball or just run off some excess energy. The biggest play area for children to burn off their energy is set to one side of the site. Complete with swings and climbing frame. There is also a boules pitch, football area complete with nets, volley ball pitch and 9 hole golf putting area with a few picnic tables dotted about. At night the site is very dark with only the odd bollard for lighting. Being out in the sticks as such, there is also no light pollution from neighbouring areas. Whilst we liked this, perfect for star gazing, we realise this may not be to everyone’s taste. Without awning lights it would have been even darker. A fish and chip van visits the site on a Friday evening and is very popular. Wi-fi is available on site, it was quite slow in the area of the site we were in. Phone and 3G signal with our O2 network phones was very weak with no 4G coverage. We paid £40.60 for 2 nights at the beginning of October. What’s the village like?, what about public transport? Always good to know of sites that have lots of easily accessible doggie walks for The Fab Four! Is the site open all year? It opened mid March this year and closes at the end of October.